And NICE has published a summary of updated guidance for healthcare professionals bringing together all its recommendations and other safety advice on the drug valproate. 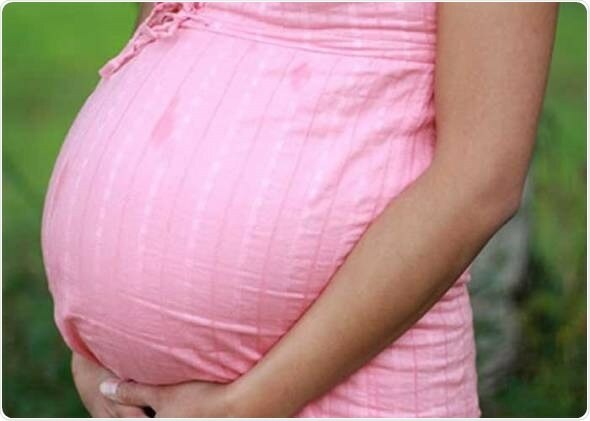 The use of sodium valproate during pregnancy is associated with up to a 40 per cent risk of neuordevelopmental disorders and a 10 per cent risk of physical disabilities for an unborn child. In March 2018, the Medicines and Healthcare products Regulatory Agency published guidelines which meant that valproate could no longer be prescribed for girls and women of childbearing age unless no other effective treatment was available. Any girl or woman prescribed valproate should also be fully informed of the risks associated with the medication and the need for effective contraception. But a year on, implementation of the guidelines have thrown up specific challenges with complex issues and individual situations where the best interests of the patient did not always appear to be met. Over the last year our Helpline has received multiple calls from women, parents and healthcare professionals, all struggling to interpret the guidelines and what they mean for them as individuals. And we know that this experience is replicated across other patient organizations and clinics. I hope this guidance will help to answer some of their questions and provide clarity in what can be a very emotional and challenging decision. For some girls and women, they have no option but to take sodium valproate as it may be the only drug that will control their seizures. But that of course means there are some very important and potentially heartbreaking issues to consider around planning a family. The new pan-college guidance has been drawn up by Judy Shakespeare of the Royal College of General Practitioners and Sanjay Sisodiya of the Association of British Neurologists and Royal College of Physicians. Sanjay Sisodiya is also Director of Genomics at Epilepsy Society and Professor of Neurology at UCL. He said: This work has come together through much valued contributions from specialists across all the national bodies involved. Epilepsy is a common neurological condition in women worldwide. Hormonal changes occurring throughout a woman’s life can influence and be influenced by seizure mechanisms and antiepileptic drugs, presenting unique management challenges. Effective contraception is particularly important for women with epilepsy of childbearing potential because of antiepileptic drug-related teratogenicity and hormonal interactions; although studies reveal many women do not receive contraceptive and preconceptual counselling. Management challenges in this population include the higher risk of pregnancy complications and peripartum psychiatric problems than in women without epilepsy. Research is needed to clarify the precise role of folic acid supplementation in prevention of congenital malformations in children born to women with epilepsy. To optimise treatment of low bone density in women with epilepsy, studies investigating bone densitometryfrequency and calcium and vitamin D supplements are required. Understanding of the mechanisms linking seizures and the menopause will help to develop effective therapeutic strategies, and advances in managing epilepsy could improve quality of life for women with this condition. Bromley RL, Weston J, Marson AG. Is maternal use of antiepileptic drugs during pregnancy associated with major congenital malformations in children? Certain antiepileptic drugs were associated with increased rates of congenital malformations (eg, spina bifida, cardiac anomalies). Lamotrigine (2.31% in 4195 pregnancies) and levetiracetam (1.77% in 817 pregnancies) were associated with the lowest risk and valproate was associated with the highest risk (10.93% in 2565 pregnancies) compared with the offspring of women without epilepsy (2.51% in 2154 pregnancies). Weston J, Bromley R, Jackson CF, et al. 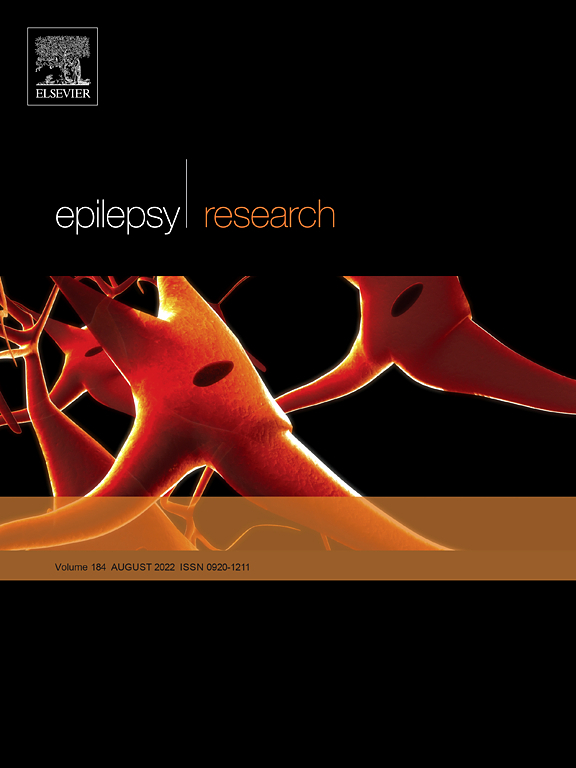 Monotherapy treatment of epilepsy in pregnancy: congenital malformation outcomes in the child. Cochrane Database Syst Rev 2016; 11:CD010224. Pregnancies in women with epilepsy (WWE) increased significantly during our 11-year study period (41% increase). Twelve different AEDs were prescribed to WWE during pregnancies in the 11-year period investigated (2005-2015) with Lamotrigine (36.1%), Carbamazepine (25.0%), and Valproic Acid (13.5%) most commonly used. Valproic acid use was markedly reduced comparing the years 2005-2010 (18.4%) and 2011-2015 (9.4%), a reduction of 48%. Unfortunately, a trend towards an increase in treating WWE with more than one AED was observed. Antiepileptic drugs (AED) are among the most common teratogenic drugs prescribed to women of childbearing age. During pregnancy, the risk of seizures has to be weight against the use of AED treatment. Primary goal was to observe and describe AED treatment policy and its changes during an eleven-year period at our third referral center. We scrutinized the medical health records for all cases of female epileptic patients admitted for labor at the Rabin Medical Center during the years 2005 – 2015. A total of 296 deliveries were recorded with 136 labors occurring in the period 2005-2010 (22.7/y) and 160 in 2011-2015 (32.0/y; increase of 41%). Twelve different AEDs were prescribed to WWE during pregnancies in the 11-year period investigated (2005-2015). Most commonly used AEDs during pregnancy were Lamotrigine (36.1%), Carbamazepine (25.0%), and Valproic Acid (13.5%). Comparing their use during the years 2005-2010 and 2011-2015, Lamotrigine (35.3% vs. 36.9%) and Carbamazepine use (23.5% vs. 26.0%) increased slightly. Valproic acid use was markedly reduced in the second period: 18.4% in the years 2005-2010 lowered to 9.4% during 2011-2015, a reduction of 48%. Unfortunately, a trend towards an increase in treating WWE with more than one AED was observed. The proportion of WWE treated with VPA during pregnancy was significantly reduced in the observed period (2005-2015). Change in fetal outcome during this period for WWE could not be detected. Objective To characterize the magnitude and time course of pregnancy-related clearance changes for different antiepileptic drugs (AEDs): levetiracetam, oxcarbazepine, topiramate, phenytoin, and valproate. A secondary aim was to determine if a decreased AED serum concentration was associated with increased seizure frequency. Methods Women with epilepsy were enrolled preconception or early in pregnancy and prospectively followed throughout pregnancy and the first postpartum year with daily diaries of AED doses, adherence, and seizures. Study visits with AED concentration measurements occurred every 1–3 months. AED clearances in each trimester were compared to nonpregnant baseline using a mixed linear regression model, with adjustments for age, race, and hours postdose. In women on monotherapy, 2-sample t test was used to compare the ratio to target concentrations (RTC) between women with seizure worsening each trimester and those without. Results AED clearances were calculated for levetiracetam (n = 18 pregnancies), oxcarbazepine (n = 4), topiramate (n = 10), valproate (n = 5), and phenytoin (n = 7). Mean maximal clearances were reached for (1) levetiracetam in first trimester (1.71-fold baseline clearance) (p = 0.0001), (2) oxcarbazepine in second trimester (1.63-fold) (p = 0.0001), and (3) topiramate in second trimester (1.39-fold) (p = 0.025). In 15 women on AED monotherapy, increased seizure frequency in the first, second, and all trimesters was associated with a lower RTC (p < 0.05). Conclusion AED clearance significantly changes by the first trimester for levetiracetam and by the second trimester for oxcarbazepine and topiramate. Lower RTC was associated with seizure worsening. Early therapeutic drug monitoring and dose adjustment may be helpful to avoid increased seizure frequency. To study interactions between first‐trimester exposure to antidepressant drugs (ADDs) and antiepileptic drugs (AEDs), and a history of clinical depression and/or anxiety, on pregnancy outcomes and seizure control in pregnant women with epilepsy (WWE). We examined data from the Australian Pregnancy Register of Antiepileptic Drugs in Pregnancy, collected from 1999 to 2016. The register is an observational, prospective database, from which this study retrospectively analyzed a cohort. Among the AED‐exposed outcomes, comparisons were made among 3 exposure groups: (1) pregnancy outcomes with first‐trimester exposure to ADDs; (2) outcomes with mothers diagnosed with depression and/or anxiety but who were not medicated with an ADD; and (3) those with mothers who were not diagnosed with depression and/or anxiety and were not medicating with ADD. Prevalence data was analyzed using Fisher’s exact test. A total of 2124 pregnancy outcomes were included in the analysis; 1954 outcomes were exposed to AEDs in utero, whereas 170 were unexposed. Within the group of WWE taking AEDs, there was no significant difference in the prevalence of malformations in infants who were additionally exposed to ADDs (10.2%, 95% confidence interval [CI] 3.9‐16.6), compared to individuals in the non–ADD‐medicated depression and/or anxiety group (7.7%, 95% CI 1.2‐14.2), or those without depression or anxiety (6.9%, 95% CI 5.7‐8.1; P = 0.45). The malformation rates in pregnancy outcomes unexposed to AEDs were also similar in the above groups (P = 0.27). In WWE medicated with AEDs and ADDs, the frequency of convulsive seizures (P = 0.78), or nonconvulsive seizures (P = 0.45) throughout pregnancy, did not differ across comparative groups. Co‐medicating with ADDs in WWE taking AEDs does not appear to confer a significant added teratogenic risk, and it does not affect seizure control. Sexual activity and rates of ovulation were also similar among women with epilepsy and those without the disorder. Women with epilepsy who are seeking to become pregnant and have no known infertility or related disorders have a similar probability of achieving pregnancy, time to pregnancy, and live birth rates as do women without epilepsy, according to the results of the observational Women With Epilepsy Pregnancy Outcomes and Deliveries prospective cohort study (ClinicalTrials.gov identifier: NCT01259310), which was published in JAMA Neurology. The investigators sought to examine whether women with epilepsy with no prior diagnosis of infertility or a related disorder were as likely to become pregnant within 12 months as their peers without epilepsy. A cohort of women with epilepsy and healthy controls who were seeking pregnancy were enrolled at 4 academic medical centers in the United States and were followed for up to 21 months. Participants between 18 and 40 years of age who were seeking pregnancy were enrolled within 6 months of having discontinued contraception. Data were evaluated from November 2015 to June 2017. The primary study outcome was the proportion of women who attained pregnancy within 12 months after enrollment. Secondary outcomes included time to pregnancy, pregnancy outcomes, sexual activity, rates of ovulation, and analysis of disease-related factors in women with epilepsy. A total of 197 women were included in the study — 89 with epilepsy and 108 controls. Overall, 72.1% of the participants were white. The mean age of the women was 31.9±3.5 years in those with epilepsy and 31.1±4.2 years in the controls. Among the women with epilepsy, 60.7% (54 of 89) achieved pregnancy compared with 60.2% (65 of 108) of those without epilepsy. The median time to attaining pregnancy did not differ significantly between the groups (women with epilepsy: 6.0 months; 95% CI, 3.8-10.1; controls: 9.0 months; 95% CI, 6.5-11.2; P =.30). Sexual activity and rates of ovulation were also similar among women with epilepsy and those without the disorder. Overall, 81.5% (44 of 54) of pregnancies in women with epilepsy and 81.5% (53 of 65) of pregnancies in women without epilepsy resulted in live births. The investigators concluded that the results of this study should help reassure and encourage women with epilepsy without a prior diagnosis of infertility or an associated disorder, as well as their clinicians, when planning to become pregnant, based on the similar times to achieving pregnancy and similar pregnancy outcomes reported. There are more than 20 epilepsy drugs now available to clinicians. Some are known to interfere with the contraceptive pill, so it is important to ensure patients are on the right medication if there is a risk of unplanned pregnancy. – Women with epilepsy who take anti-epileptic drugs are at higher risk than the general population of having a baby with a major malformation: 4-10 per cent, compared to 2-3 per cent, but this varies between drugs. – In April, doctors in the UK were banned from prescribing the epilepsy drug sodium valproate to women of childbearing age unless they sign a waiver acknowledging the risks. It has been linked to around 20,000 cases of infants being born with disabilities since the 1970s. Women with epilepsy were at no disadvantage in getting pregnant as their peers without epilepsy, the prospective Women with Epilepsy: Pregnancy Outcomes and Deliveries (WEPOD) study found. About 60% of women in both groups became pregnant within a year of discontinuing contraception, according to Page Pennell, MD, of Brigham and Women’s Hospital in Boston and co-authors. Median time to pregnancy, sexual activity, and ovulatory rates were similar in each group, too, they reported online in JAMA Neurology. These findings have two meanings, Pennell noted. First, they tell neurologists “that their female patients with epilepsy in their practice who want to become pregnant will have no additional difficulties becoming pregnant just because of their epilepsy,” she said. But an equally important message is that women with epilepsy are at risk of unplanned pregnancy. 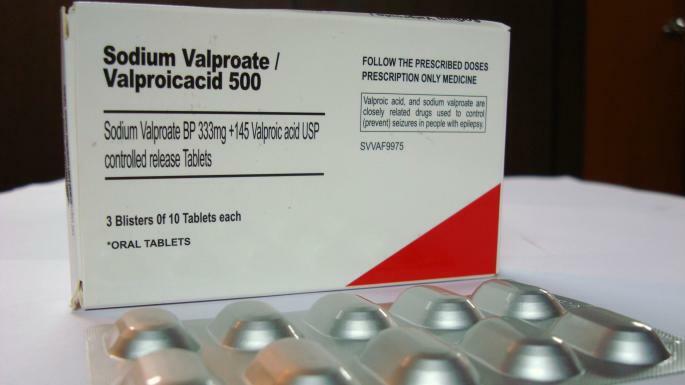 Maternal use of valproate (Depakote) in pregnancy has been tied to autism and impaired cognitive development in children, prompting FDA warnings about using the drug during pregnancy. A European Medicines Agency committee recently advised that valproate use be restricted in fertile women unless they participate in a pregnancy prevention program. Research indicates that prenatal exposure to newer anti-epileptic drugs like levetiracetam (Keppra) or topiramate (Topamax) is not linked to reduced cognitive abilities in children, but a recent study indicates that women on anti-seizure medications who did not take folic acid supplements before conception had a substantially increased risk of having offspring with autistic traits. Previous studies also have suggested that women with epilepsy may have lower fertility especially if they use multiple anti-seizure medications, but WEPOD is the first prospective study of pregnancy that included controls, the authors noted. All women in WEPOD planned their pregnancy in advance, distinguishing it from pregnancy registry or population studies. In WEPOD, the researchers followed women with a steady male partner who wanted to become pregnant within a year of ending contraception, excluding women with a history of infertility or related disorders. Patients recorded sexual activity and menstrual bleeding through a custom smartphone application, a web-based interface, or a paper diary. Patients in the epilepsy group also tracked their medication use and seizures. A total of 88 women with epilepsy and 109 healthy controls enrolled in the WEPOD study throughout four U.S. academic centers. Most participants (72.1%) were white. The average age of women with epilepsy was about 32, and the average age of controls was about 31. Most women with epilepsy used monotherapy to control seizures: 44.8% used lamotrigine (Lamictal) and 28.7% used levetiracetam. In total, 60.7% of women with epilepsy achieved pregnancy, as did 60.2% of controls. After controlling for key covariates like age, body mass index (BMI), parity, and race, the median time to pregnancy was similar in each group: 6 months (95% CI 3.8-10.1) for women with epilepsy, and 9 months (95% CI 6.5-11.2; P=0.30) for controls. In both groups, the same proportion (81.5%) of pregnancies resulted in a live birth. No epilepsy factors were significant. These findings allow neurologists “to provide hope, backed up by data, that if a woman with epilepsy does not have a prior gynecologic diagnosis related to infertility, then she will have the same likelihood of achieving pregnancy and same pregnancy outcomes as her female peers,” Pennell said. The study does not answer whether women with epilepsy have different rates of infertility or polycystic ovary syndrome (PCOS) because women with these diagnoses were excluded, the authors noted. While prior research indicates that PCOS occurs more frequently in women with epilepsy, the researchers did not include these women in the study to give physicians information about the “more common clinical scenario of women with epilepsy without a preexisting diagnosis of infertility or associated disorders” who want to become pregnant. The authors listed several other limitations: Some women may have become pregnant before they could be recruited. And it’s possible the researchers did not account for unmeasured differences between women with epilepsy and controls that may have occurred because the study used multiple sources of recruitment. Question Do women with epilepsy without a prior diagnosis of infertility or related disorders have the same likelihood of achieving pregnancy as their peers without epilepsy? Findings This multicenter cohort study of 89 women with epilepsy and 108 control women found no difference in the proportion of women who achieved pregnancy less than 12 months after enrollment in the study. Among women with epilepsy, 54 (60.7%) achieved pregnancy vs 65 (60.2%) among control women. Meaning Women with epilepsy without a history of infertility or related disorders seeking pregnancy had similar likelihood of achieving pregnancy compared with their peers without epilepsy. Importance Prior studies report lower birth rates for women with epilepsy (WWE) but have been unable to differentiate between biological and social contributions. To our knowledge, we do not have data to inform WWE seeking pregnancy if their likelihood of achieving pregnancy is biologically reduced compared with their peers. Objective To determine if WWE without a prior diagnosis of infertility or related disorders are as likely to achieve pregnancy within 12 months as their peers without epilepsy. Design, Setting, and Participants The Women With Epilepsy: Pregnancy Outcomes and Deliveries study is an observational cohort study comparing fertility in WWE with fertility in control women (CW) without epilepsy. Participants were enrolled at 4 academic medical centers and observed up to 21 months from November 2010 to May 2015. Women seeking pregnancy aged 18 to 40 years were enrolled within 6 months of discontinuing contraception. Exclusion criteria included tobacco use and a prior diagnosis of infertility or disorders that lower fertility. Eighteen WWE and 47 CW declined the study, and 40 WWE and 170 CW did not meet study criteria. The Women With Epilepsy: Pregnancy Outcomes and Deliveries electronic diary app was used to capture data on medications, seizures, sexual activity, and menses. Data were analyzed from November 2015 to June 2017. Main Outcomes and Measures The primary outcome was proportion of women who achieved pregnancy within 12 months after enrollment. Secondary outcomes were time to pregnancy using a proportional hazard model, pregnancy outcomes, sexual activity, ovulatory rates, and analysis of epilepsy factors in WWE. All outcomes were planned prior to data collection except for time to pregnancy. Results Of the 197 women included in the study, 142 (72.1%) were white, and the mean (SD) age was 31.9 (3.5) years among the 89 WWE and 31.1 (4.2) among the 108 CW. Among 89 WWE, 54 (60.7%) achieved pregnancy vs 65 (60.2%) among 108 CW. Median time to pregnancy was no different between the groups after controlling for key covariates (WWE: median, 6.0 months; 95% CI, 3.8-10.1; CW: median, 9.0 months; 95% CI, 6.5-11.2; P = .30). Sexual activity and ovulatory rates were similar in WWE and CW. Forty-four of 54 pregnancies (81.5%) in WWE and 53 of 65 pregnancies (81.5%) in CW resulted in live births. No epilepsy factors were significant. Conclusions and Relevance Women with epilepsy seeking pregnancy without prior known infertility or related disorders have similar likelihood of achieving pregnancy, time to pregnancy, and live birth rates compared with their peers without epilepsy. Approximately 12.5 million women of childbearing age worldwide have epilepsy.1 Most studies suggest birth rates in women with epilepsy (WWE) to be 37% to 88% of other groups.2,3 Conversely, the Northern Finland Birth Cohort4 reported the number of children born to WWE did not differ from the reference group overall, although epilepsy not in remission was associated with fewer children. None of these studies collected information about the desire or attempts to achieve pregnancy. Birth rates could be lower in WWE because of social factors (eg, lower marriage rates or lower rates of seeking pregnancy) and/or biological factors (eg, decreased ovulatory rates). A UK survey5 reported 33% of WWE respondents were not considering having children because of their epilepsy. Neurologists do not have the information needed to counsel their female patients who desire pregnancy whether they are as likely to achieve pregnancy and to have a live birth as their peers. We designed this study to determine whether WWE without a preexisting diagnosis of infertility or associated disorders who are following their clinically determined treatment regimen differ from women without epilepsy when attempting to achieve pregnancy. The primary aim was the proportion of women achieving pregnancy within 1 year. Secondary aims were comparisons between WWE and women without epilepsy for (1) live birth rates, (2) time to achieve pregnancy, (3) sexual activity rates, and (4) ovulatory rates. An additional secondary aim was to explore seizure and medication factors within WWE that could affect fertility.